We are looking for volunteer Hospice Neighbours, aged 18 years and over, to support with an exciting new ‘Pilot’ community carers project (pilot in the Horsham District only) funded by Horsham Hospital League of Friends. 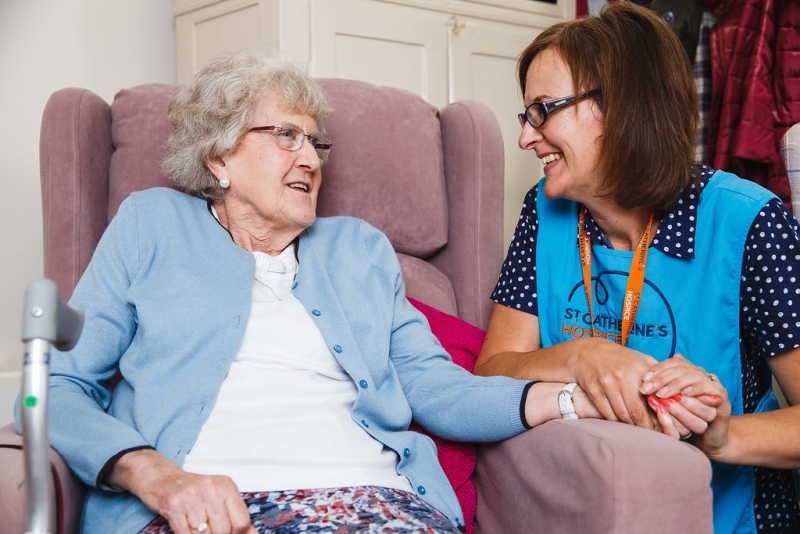 As part of this project, our Hospice Neighbours will provide practical and emotional support in the community to patients and their carers in their own homes. The volunteer role aims to ‘lend a hand’ once a week with practical tasks based around the needs of the patient and may include things like: collecting prescriptions, hanging out the washing, changing bed sheets, walking the dog. The idea is to ease some of the pressures and demands for those with caring responsibilities and provide additional support in the home, as well as giving short respite opportunities. This practical support role is being trialled in the Horsham area, where we hope to recruit up to 10 volunteers to help us get this programme started. We are looking for a commitment of up to 4 hours per week, plus travel and a 2 hour group supervision session every 4 weeks. Anyone who in interested in this role will need to take part in our two day training programme being held on Saturday 29 June and Saturday 6 July 2019. For further information please contact Esther Walker at estherwalker@stch.org.uk or the Volunteering Team on 01293 447351 or volunteering@stch.org.uk. If you would like the opportunity to meet new people and make a difference, then please get in touch. Days & Times Maximum once a week, up to 4 hrs, plus travel and write up time and 2 hours group supervision sessions every 4 weeks.